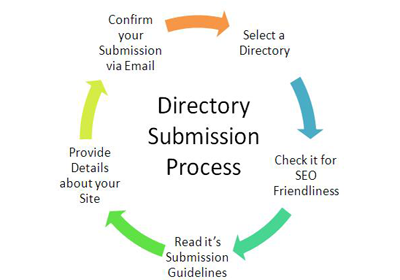 Directory submission is submitting the website's link and headings of web pages on internet directories or web directories. A short description of the website with a lot of good and high quality keywords and headings are added so that good quality back links are generated. Quality submission of website links and titles are required to exceptional directories present on the internet. There are a number of options available which are free as well as paid. The quality of these directories depends on the number of listings that a directory has. The main objective of directory submission is to get high quality back links and to promote the website through it. Ours is an impeccable company to be consulted for effective directory submission services. We perform the work with utmost care and sincerity, keeping in mind the requirements of the client and the ideas that he has on the trot for is business. Our team of specialists work closely with the clients in order to deliver the best results. Our specialists are the best in their fields. They have the tendency to perform their best at any hour. They take the crucial steps in accordance with the client's permission. The 'good-value-for-money' syntax will be valid for you throughout your association with Design club india.